White Hawk Golf Club in Bixby has a new owner, new direction and new hope for the future. 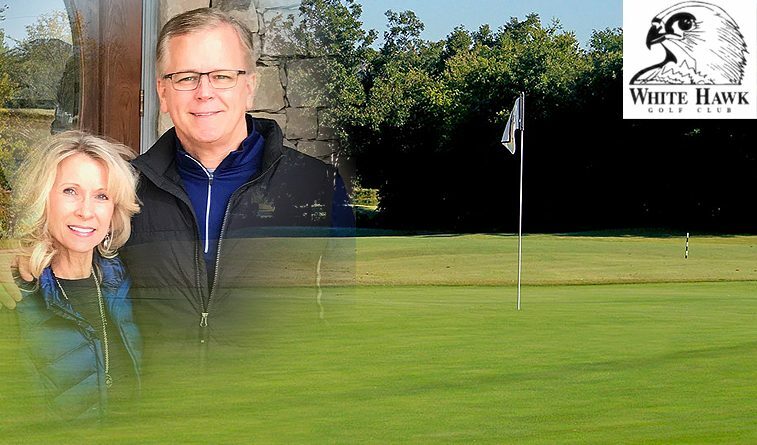 Roger Rodich, President and CEO of Workspace Resource Inc., has purchased the club from majority owner Gerald Pope and announced plans for improvements throughout the facility, including course conditions, food and beverage operations and atmosphere. Rodich negotiated an early termination of a 20-year lease with American Golf, which had managed the course since 1998. The course was closed after play Thursday for an interim period during which improvements will begin. All American Golf employees were released from their contracts and Rodich has begun employee meetings and said he expects most if not all of the current employees to be retained. Roger Rodich with wife Gayle. The course is expected to reopen in early to mid March, check back here for updates or at www.whitehawkgc.com. Rodich and wife Gayle are homeowners at the course and he has been a minority owner in the group headed by Pope. Although not an avid golfer himself, Rodich said he was motivated by the passion displayed by his neighbors and Bixby residents for White Hawk to remain a golf course and community touchstone. A group of Oklahoma City developers came close to purchasing White Hawk from Pope last summer, but eventually rescinded their offer after meeting resistance from homeowners. Rodich said he is going to do all in his power to make White Hawk a successful and profitable golf course, but if it doesn’t work out, will retain the right to look at development options. He did reassure homeowners that in the event of an eventual development, he would work toward making sure that any housing on the site met the standards of lot size and home covenants already set by the neighborhood surrounding the course to protect current property values. White Hawk, a Randy Heckenkemper design, opened in 1993 as an upscale daily fee course priced a notch below Forest Ridge in Broken Arrow, another Heckenkemper design. The American Golf lease guaranteed payments of $400,000 annually to the ownership group and, as the golf market locally became oversaturated, it struggled to compete financially with municipal courses that were supported by city or county capital improvement projects. White Hawk turned to discounting rounds heavily. In 2017, even though its rounds increased by more than 2700 over the previous year, it brought in less revenue. Pope estimated it was losing more than $700,000 annually including the lease payment. Rodich said discount programs are over and, with renovations to both the course, clubhouse and banquet facility, it will set its greens fees competitively with area facilities such as Battle Creek in Broken Arrow, Bailey Ranch in Owasso or LaFortune Park in Tulsa. “This has got to be a community effort,” Rodich said. “The prospect of it going away woke us all up. We’re going to do everything possible to bring it back to its original state. It’s not going to be a discount golf course. You can’t come out here anymore and play for $8 or $9. We’re going to be priced competitively with other courses in our market. 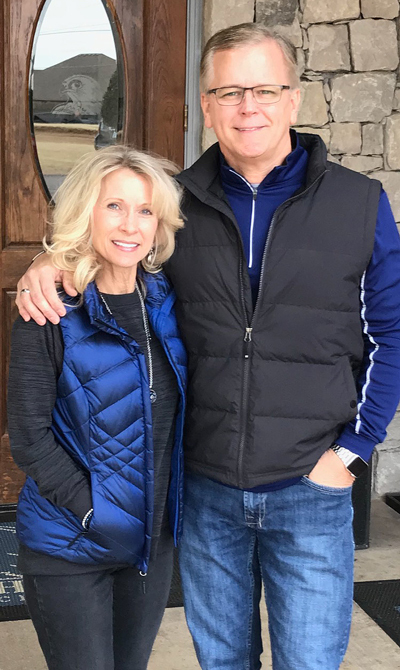 To bring White Hawk back to a successful operation, Rodich said he is going to ramp up food service, seek out weddings, parties and special events, renovate both the clubhouse and event center including carpet, paint and furnishings, upgrade the menus. He said the maintenance budget would be increased over the past, irrigation system revamped and the crumbling split rail fence around the perimeter of the property replaced immediately. Rodich said staff were excited about the changes and the chance to work under local management. His management policies will emphasize customer service and institute policies heavy on friendliness while respecting the game, including dress. In meetings with neighbors, he has already received commitments for memberships totaling more than $100,000.